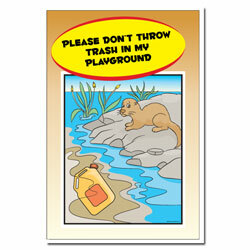 Theme: A series of water bubbles filled with helpful tips of ways to conserve water. Message: "Did you know? 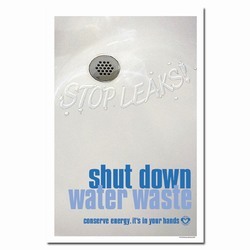 A dripping faucet can waste up to 2,000 gallons of water a year! 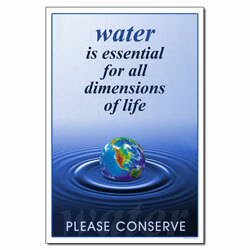 There is about the same amount of waters on Earth as there was millions of years ago. Nearly 97% of all the world's water is salty or undrinkable. Another 2% is locked in ice caps and glaciers. That leaves 1% for all our needs. 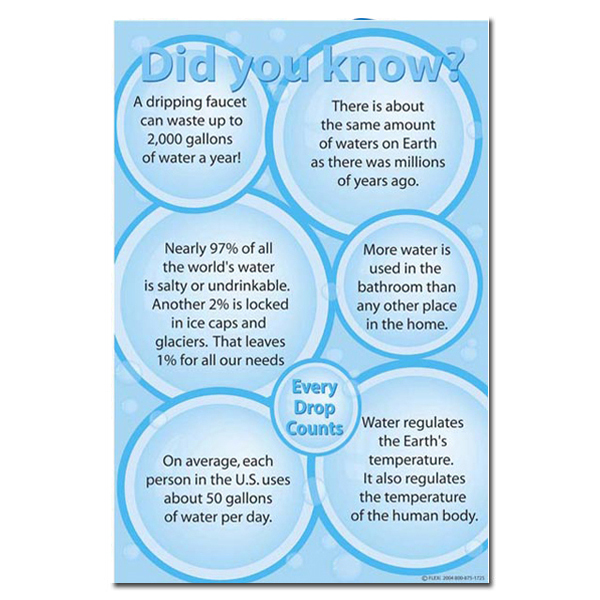 More water is used in the bathroom than any other place in the home. 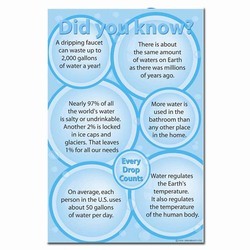 On average, each person in U.S. uses about 50 gallons of water per day. 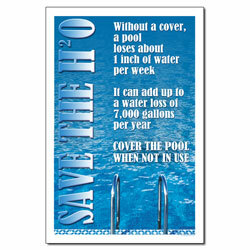 Water regulates the Earth's temperature. It also regulates the temperature of the human body. 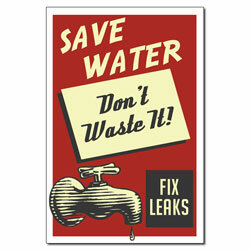 Every drop counts."